Happy February! Hard to believe we’re already a month into 2019, but it’s true. If you haven’t yet, check out our playlist of 50 songs we like from January. Also if you’re looking for a long read while you stay in to avoid the cold this weekend, maybe browse my list of Black Flag Albums and EPs Ranked Worst to Best. As for new albums out this week, I picked seven that I recommend checking out, and some other honorable mentions include Astronoid, Boy Harsher, Pulchra Morte, Soen, Quentin Sauve (of Birds In Row), Leon Vynehall’s DJ-Kicks mix, Yugen Blakrok, Le Butcherettes, Dave Harrington Group, Guided by Voices, Lou Doillon (Cat Power collab included), and Riley Hawk’s band Warish. Check out my seven picks below. What was your favorite release of the week? 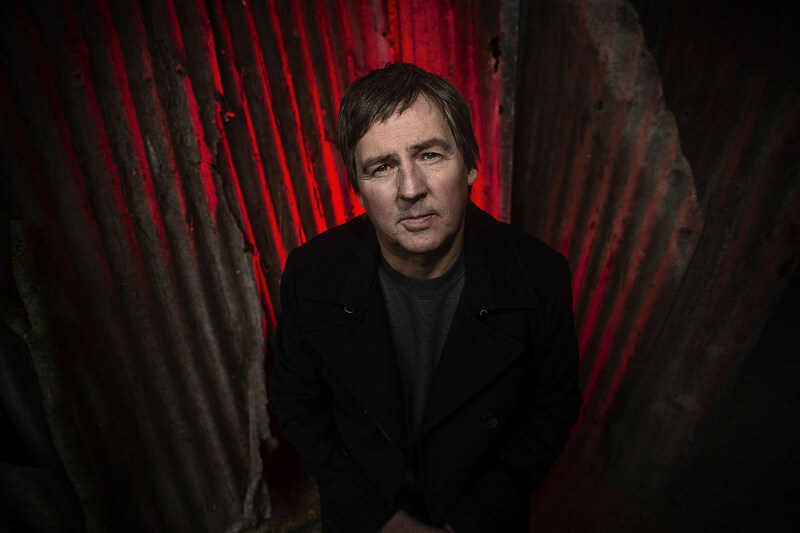 Talk Talk bassist Paul Webb hasn’t released an album under his Rustin Man moniker since Out of Season, his classic 2002 collaboration with Portishead’s Beth Gibbons (who also has something new coming out on Domino this year), but now he’s finally back with a second studio album, 17 years in the making, Drift Code. He says he’s been slowly working on the album since Out of Season‘s release (while also taking the time to start a family and raise two daughters), and it’s the first time that he wrote an entire album with his own lead vocals as the focal point. So it shouldn’t come as a surprise that Drift Code is nothing like Out of Season, Talk Talk, or even Webb’s ’90s post-rock/electronica project .O.rang where he did do some singing. It’s an entirely new chapter in his long-running career, and it’s as worth hearing as any of his more classic work. The most immediate comparison is David Bowie’s swan song Blackstar. Between this album and last year’s Nine Inch Nails album Bad Witch, we’re really starting to see Blackstar‘s influence seep into other artists’ music and it makes sense that Paul Webb is one of those artists. He’s not nearly as prolific as Bowie, but like Bowie, Webb has always seemed intent on reinventing himself. It doesn’t seem likely that he would finally pull the trigger on this long-awaited album unless it was really going to add something new to his career, and it does. Like Blackstar, it’s a late-career album that sounds wise, grizzled, and like nothing else the artist as ever done. Webb often sings like Bowie on this album too, but that isn’t the only sonic reference point. His harmony style can recall anything from Beatlesque psych-pop to the more proggy harmonies of early ’70s Yes, and he fills the album with trippy, wah-aided guitar solos that sound built for Woodstock. Webb uses a lot of old sounds on this album, but he repurposes them in ways that feel new and exciting. The solos on “Judgement Train” could be on a San Francisco psych record from 1967, but the song as a whole sounds entirely fresh. Part of that is the warm, atmospheric production style that makes Drift Code sound contemporary despite some half-century-old influences. But mostly it’s Paul Webb’s ability to find inspiration from the past while looking at the future. The same way late-period Talk Talk took old jazz motifs and helped invent post-rock, Drift Code takes the prog and psych rock of yesteryear and aims to build something new. Tiny Ruins (the project led by New Zealand’s Hollie Fullbrook) has been at it since the beginning this decade, but Olympic Girls (their third album) is their first for a US label, Ba Da Bing (former home of longtime Tiny Ruins supporter Sharon Van Etten). The album’s rooted in the somber folk music of classic artists like Leonard Cohen and Sibylle Baier or newer artists like Angel Olsen and Big Thief, and Tiny Ruins do this kind of thing exceptionally well. There are the really bare-bones songs like “School of Design” that feel like they’re actually transported into 2019 from the late ’60s, but plenty of songs that sound like current indie too. And though these are the kinds of songs that could silence a room with just Hollie Fullbrook’s voice and a guitar, they mostly aren’t performed that way. Tiny Ruins flesh these songs out with intricate arrangements and complex percussion that take them beyond the folk realm and more into baroque/art pop territory. It’s a very appealing mix of sounds, just the right balance between familiar music and music you haven’t ever heard performed quite like this. On the heels of their buzzed-about 2017 demo Calcified Trophies of Violence and a 2018 split with Draghkar, Portland’s Ossuarium signed to the trusty 20 Buck Spin and they’ve now unleashed their debut full-length, Living Tomb. Ossuarium honed their old school death/doom influences on the demo and split, but they really take advantage of the full-length format for Living Tomb, and they come out with an atmospheric, genre-defying album that covers much more ground than Ossuarium ever could with just three tracks at a time. With sharper production (courtesy of Greg Wilkinson), Living Tomb sees Ossuarium dipping their toes into prog, sludge, thrash, post-rock, and more. They’ve still got plenty of the pure brutality that earned them buzz in the first place, they’ve still got Daniel Kelley’s filthy, reverb-coated growls in the forefront, but brutality and filth aren’t the only things they’re relying on. Instrumentally, Living Tomb takes Ossuarium through gorgeous clean passages, white-hot melodic twin solos, and more sounds that really add a new depth to their music. “I wanted the end of our demo to end rather mysteriously. The best is yet to come,” Kelley told Decibel back in 2017. Indeed. Before the making of Gallipoli, Zach Condon reunited with the Farfisa organ that he wrote most of Beirut’s first two records on (2006’s Gulag Orkestar and 2007’s The Flying Club Cup), and it inspired a return to form following 2015’s more stripped-back No No No. Just like the old days, Zach and his collaborators churned out a collection of maximalist, Eastern European-inspired indie baroque pop with triumphant horns, bouncy rhythms, and Zach’s trademark croon in the forefront. It’s the Beirut you know and love, and that’s a treat when it’s been four years since a Beirut album and even longer since one channelled their classic sound as strongly as Gallipoli does. The songs are catchy, the arrangements are stunning, and it’s just nice to hear Zach Condon sounding as inspired as he does on this album. It might not be the most unpredictable thing at this point in Beirut’s career, but music this rich shouldn’t be taken for granted. Cherry Glazerr branched out from their humble garage rock roots with 2017’s Apocalipstick, which saw them making bigger, cleaner, tighter, and catchier music than ever before, and they’ve polished up their sound even further for the new Stuffed & Ready. While Apocalipstick did retain some of the garagey tendencies of Cherry Glazerr’s earlier work, Stuffed & Ready is closer to the kind of chunky alt-rock that ruled the radio in the ’90s (and poppy enough to compete with some of those ’90s hits). It’s got a different tone lyrically too. “With Apocalipstick, I was an over-confident teenager trying to solve the world’s problems. With Stuffed & Ready, I’m a much more weary and perhaps a more cynical woman who believes you need to figure your own self out first,” main member Clementine Creevy said. Girlpool’s 2017 sophomore album Powerplant saw them adding in drums, working out more complex vocal harmonies, and making more dynamic, more fleshed-out music than ever before. Things get even louder on the followup What Chaos Is Imaginary, which takes influence from grunge, shoegaze, and more, and also works in drum machines, synths, and even a string octet at one point. “It was invigorating playing stripped down and raw when Girlpool began. As we change, what gets us there is going to change too,” the band says. UK ska/2 Tone vets The Specials are back with their first album to feature singer Terry Hall in nearly 40 years. There’s a new musical direction to some of the songs, but plenty of The Specials’ classic ska sound, and it’s also a very political album. Read Bill’s very detailed review HERE.